If you own your own business or sell any kind of product, you know how important a great marketing campaign is. To ably and expertly promote yourself to the masses, most especially to your target audience is something you need to master or watch your potential profits and return of investment go down the drain. You also need to be innovative, enterprising and most of all creative when It comes to thinking up ways to promote your products or services. Manufacturers, distributors, retailers and service providers know only too well that a lot of creativity can do wonders for your business and make it grow by leaps and bounds. While it may be necessary to spend quite a bit to achieve this goal, you can also go for less expensive means that have about the same effect as a full-blown marketing campaign and the way to go about it is by using logo-branded merchandise. Virtually any everyday item can be used to promote your products and services. 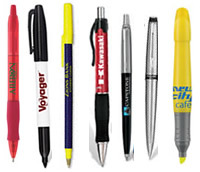 From coffee mugs, to T-shirts, hats, lanyards, backpacks – basically anything and everything that people use on a daily basis and use as part of their daily routine can be transformed into a promotional item that you can either give away for free or as part of a promotional event. You can also try to give them as awards or prizes because this way, they get associated with feelings of goodwill and appreciation that is translated over to your company.